Unverified rumors on the South Korean government’s potential crackdown on cryptocurrency trading circulated around online Bitcoin communities over the past few days. Currently, the South Korean government remains highly optimistic in regards to the growth of the local Bitcoin industry and has recently announced its plans to introduce a nationwide regulatory framework for Bitcoin exchanges and brokerages. 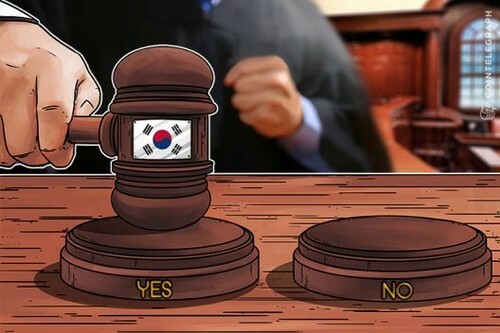 As Cointelegraph reported, South Korea’s Deputy Prime Minister and the Minister of Strategy and Finance Kim Dong-yeon announced that the government is actively investigating into methods of providing local cryptocurrency and Bitcoin investors with consumer protection, implementing stricter Know your Customer (KYC) and Anti-Money Laundering (AML) policies, and protecting customer assets. The South Korean government does not intend to crack down on any aspect or area of the Bitcoin market because the enforcement of impractical policies can lead to the migration of investors and their funds into unregulated over-the-counter (OTC) markets, which are significantly more challenging for the government to oversee. Hence, there is no truth to any of the rumors circulating around online Bitcoin communities and forums that the South Korean government will crackdown on Bitcoin trading. Just last week, South Korea’s ministry of finance and strategy revealed that it has already begun the process of drafting various regulations for cryptocurrency exchanges. One of the many policies the government may implement is the prevention of trading volume centralization into a few exchanges. At the time of reporting, Bithumb, Korbit and Coinone account for over 90 percent of the South Korean Bitcoin exchange market share, with Bithumb processing more trades on a daily basis than the country’s largest stock market KOSDAQ. “The South Korean ministry of finance and strategy have drafted taxation policies on Bitcoin trading. But, regulatory frameworks around Bitcoin taxation will not be implemented in the 2018 amendment of the tax law,” said South Korean Deputy Prime Minister Kim Dong-yeon. Some of the leading financial institutions within the South Korean traditional finance market are already preparing to adopt and integrate Bitcoin. Most notably, Shinhan, the second largest commercial bank in the country, has developed and tested a Bitcoin wallet and vault service. A Shinhan spokesperson explained that the bank intends to provide a secure and insured platform in which customers of South Korean Bitcoin exchanges can store their funds in, given that Bithumb, South Korea’s largest cryptocurrency exchange, was hacked twice this year. Currently, according to cryptocurrency market data provider CryptoCompare, the South Korean Bitcoin exchange market accounts for nearly seven percent of the global Bitcoin market share. As major financial institutions move into the Bitcoin market, an increasing number of general consumers and investors will invest in Bitcoin in the long-term.